Here’s a quick guide on how to update your Mac straight to macOS High Sierra without losing your files and settings. Take the OTA Route if You Wish to Preserve Your Files & Settings While Updating to macOS High Sierra. It’s easy to get carried away as you consider the multiple options available when it comes to installing an operating system onto your beloved meme machine. But, for some people, being vanilla is the way to go since moving files and settings around can become a huge pain. If that’s what you have decided as well, then it’s a no-brainer to opt for the over the air route in order to install macOS High Sierra. Not only you end up being on the latest and greatest version of an operating system straight from Apple, but you also retain every single setting including your files. Just follow the steps below and you’ll be in business in no time. 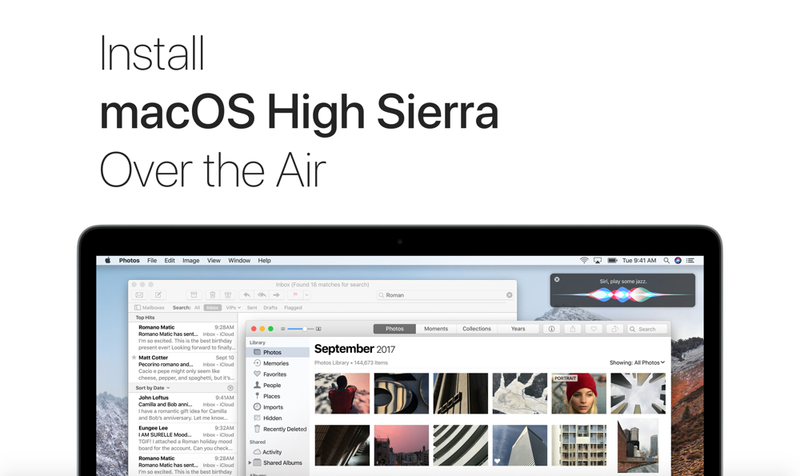 Install macOS High Sierra Over the Air. Just as a safety precaution, it’s best to copy all your important files to either iCloud Drive or onto an external storage medium. Also make sure that you have at least 10GB of free space on your Mac. You can check how much space you have by clicking on the Apple logo icon in the menu bar, then click on About this Mac, then click on the Storage tab. You should see something similar to the screenshot below. 1. Connect to a WiFi network and then launch the Mac App Store. 2. Let the Mac App Store refresh properly and then click on the Updates tab at the top. 3. In a few seconds the new High Sierra update will show up. When it does, you’ll see an Update button right next to it. Click on it. 4. At this point, the download will commence. But once it’s complete, just follow the on-screen prompts for installation. Your Mac will become completely unusable during the installation time period so make sure you save all your work ahead of proceedings. But as soon as the installation is complete, you’ll be prompted to enter your Apple ID password then you can start using your Mac immediately. The over the air route is great and all, but occasionally users might run into performance related issues down the line. Therefore it’s recommended you go for the clean install method, provided you have the time and patience. But if everything is working out just fine for you then you’re golden. Still, we have linked the necessary guides below in case you do wish to change your mind.